Bay Area Intactivists will march in the San Francisco Pride parade to raise awareness of human right to genital integrity. 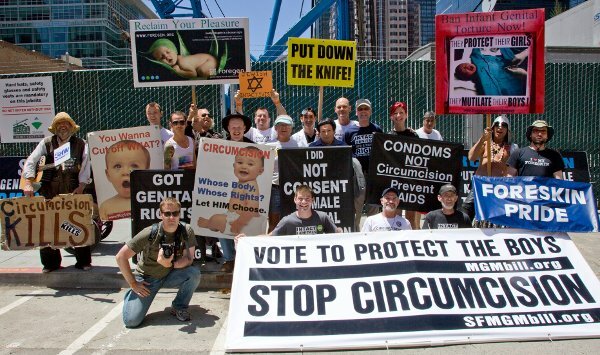 We welcome all who wish to put an end to infant circumcision and other forms of genital mutilation to join us as we carry signs and hand out goodies. Tips: Wear comfortable shoes, bring water (in a plastic or metal container), and wear sunscreen. Wearing a hat is also a good way to protect your face from the sun. Bring a sign if you can. This website has some great instructions for how to make a striking sign to express yourself.